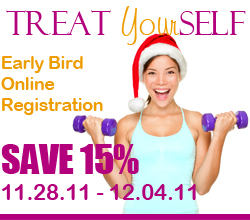 Browse and Register for even more Activities like Yoga and Boot Camp online! Activities eligible for Early Bird Online Registration may ALSO be eligible for an additional Recreation Membership Passholder Discount of 15%. Let us watch the kiddos while you take a class! Drop-in childcare available on a first come, first serve basis to children of parents and guardians actively participating in a registered Activity, Open Gym, Fitness Floor, and Open Climb. Review Schedule and pricing online. Wylie Recreation Center will offer drop-in childcare for children age 7 to 11 years on a trial basis in the classroom. Activities include movies, video games and board games. Wylie Recreation Center will continue to provide active options, including Open Gym and Open Climb for youth Recreation Membership Passholders. Review Schedule and pricing online. Let our friendly Recreation staff know if you have any questions!